IF THE past is anything to learn from, reporting problem crocodiles to the correct authorities is crucial in determining the shape of history. Despite being at the southern end of 'Croc Country', Gladstone has a long association with crocodile sightings - confirmed and unconfirmed. In November 2016 a croc, estimated to be three metres in length, was sighted in the Boyne River at the south end of Curlew Park. Another croc measuring about 1.5m was spotted only days later in the Calliope River near the campgrounds. There were further sightings in 2016, including South Trees Inlet, Round Hill Creek at Agnes Water and one other sighting in both the Boyne and Calliope rivers. There were at least seven sightings in the region during 2017, with the most recent taking place at Colosseum Inlet near Tannum Sands in October. Yet according to the Department of Environment and Science, we only had one unconfirmed sighting in 2017, near the Bray Park boat ramp at Boyne Island in March. The Department of Environment and Science said it cannot comment on how many reports of crocodile sightings may have been received by The Observer. However all crocodile sightings reported to the department are recorded on CrocWatch and investigated. "Members of the public are urged to report all crocodile sightings as soon as possible to DES on 1300130372. Timely reports greatly assist wildlife officers in their crocodile management activities," a spokesperson said. 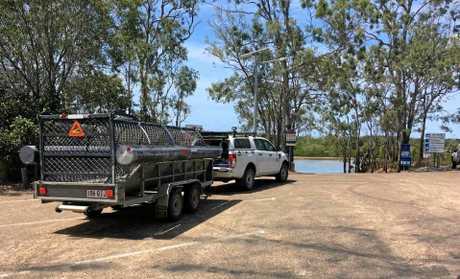 "This is important even when the sighting is south of the Boyne River at Gladstone, which is considered the southern boundary of crocodile habitat and the normal range for crocodiles, known as 'Croc Country'. 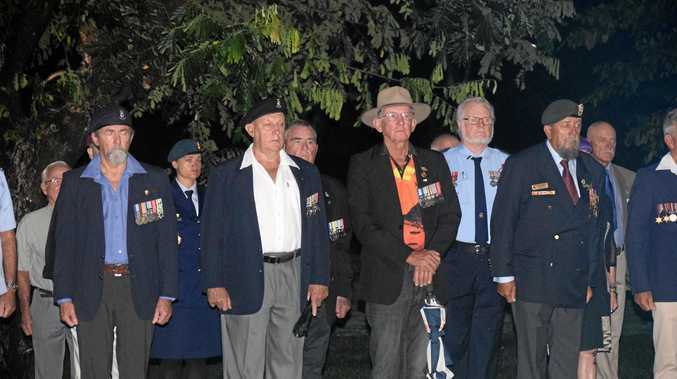 "Any estuarine crocodile found south of the Boyne River is declared a 'problem crocodile' and targeted for capture and removal as a public safety issue." 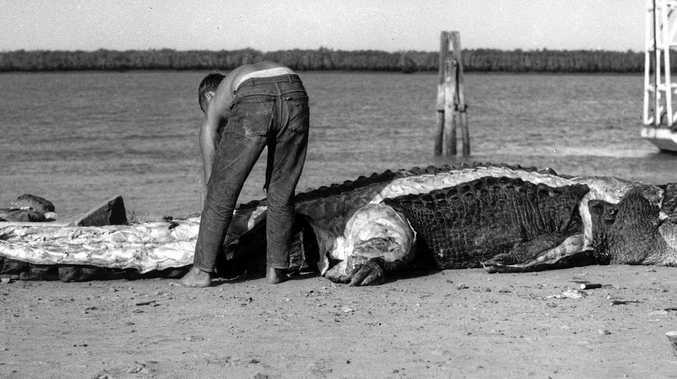 In recent times there has been confirmed crocodile sightings as far south as the Gold Coast (January 2010) and Nudgee Beach (September 2010). There was a sighting in the Maroochy River in January last year, while 12 crocs have been spotted in the Mary River since November 2008. Hervey Bay and the Burnett River aren't immune either, with a handful of sightings taking place since 2009. 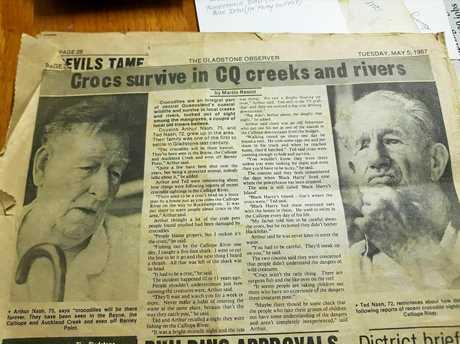 The newspaper clipping (pictured above) from May 5, 1987, tells the tale of cousins Arthur and Ted Nash, who spoke to The Observer some 31 years ago, about their crocodile encounters following a sighting in the Calliope River. Arthur mentions during the article that "crocodiles will be (in Gladstone) forever" - a statement that still rings true.